The U.S. Postal Service is adding seven electric delivery trucks to its fleet in Fresno and Stockton, California, a region in the state’s central valley known for its poor air quality. 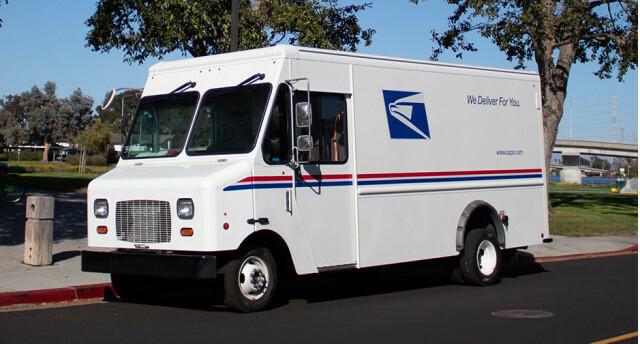 USPS says it expects each truck to save between $4,000 and $6,000 a year on fuel costs and more than 37 tons of greenhouse gas emissions over the trucks’ one-year trial. They’re based on a Ford E-450 chassis and have a range of up to about 90 miles—plenty for a daily mail delivery route—and a top speed of 60 mph. It’s likely the electric powertrain is much, much quieter than the diesels that are otherwise common on these trucks. California’s electric mail trucks aren’t the USPS’s first foray into electric deliveries. In New York City, it uses 30 electric trucks, along with two 2-ton hybrid trucks on Long Island.